Longer service life, low wear, low Costs – there are many reasons for hard chrome plating. Benefit from the experience of the hard chrome Beck GmbH in Güglingen-Frauenzimmern for aircraft, automobiles, hydraulic and many other plants. 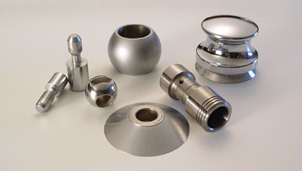 Whether steel, copper or aluminum, with us gets any possible material or an alloy a hard chromium plating. Simply click through our offer in Güglingen-Frauenzimmern. Or do you want a hard chrome plating for your plant? Then call us. You can reach us by phone 0 71 35 / 69 63. Or use our Contactform.